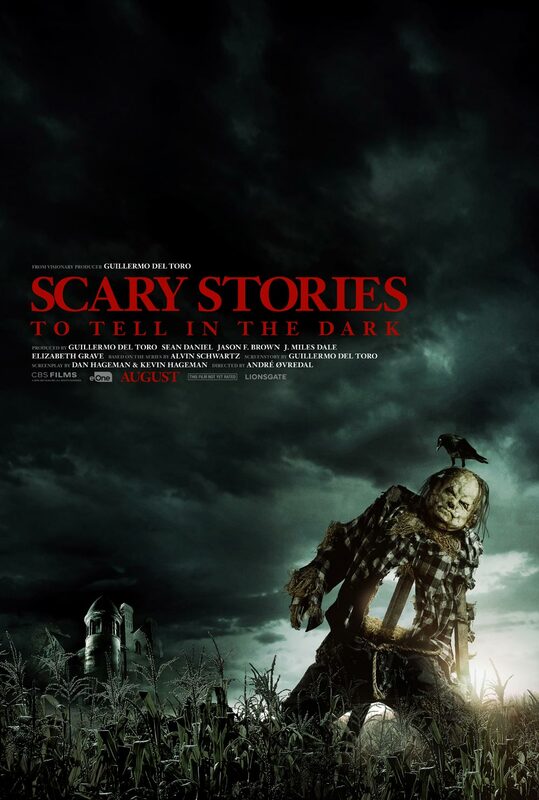 Co-written and produced by Guillermo del Toro and based on one of the spookiest book trilogies of all time, the new Scary Stories to Tell in the Dark movie was recently given an August 9th, 2019 release date by CBS Films and Lionsgate. We have a look at the first teaser poster and we're being told that "This Sunday will be Scary," so we're expecting that the first trailer will premiere this weekend. Directed by André Øvredal (The Autopsy of Jane Doe, Trollhunter) from a screenplay written by Daniel Hageman & Kevin Hageman and Guillermo del Toro, and based on the popular book trilogy written by Alvin Schwartz’s and illustrated by Stephen Gammell, Scary Stories to Tell in the Dark stars Zoe Colletti, Michael Garza, Gabriel Rush, Austin Abrams, Dean Norris, Gil Bellows, Lorraine Toussaint, Austin Zajur, and Natalie Ganzhorn. The new Scary Stories to Tell in the Dark movie is produced by Sean Daniel, Elizabeth Grave, Guillermo del Toro, Jason F. Brown, and J. Miles Dale. 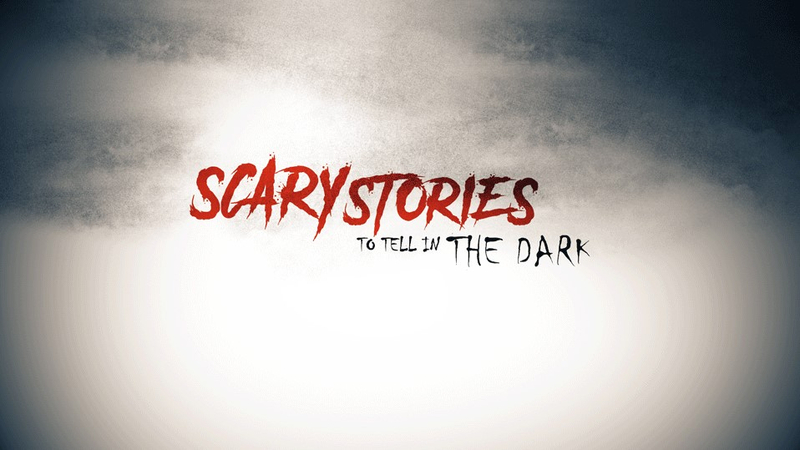 Synopsis: "Inspired by one of the most terrifying children’s book series of all time, SCARY STORIES TO TELL IN THE DARK follows a group of young teens who must solve the mystery surrounding sudden and macabre deaths in their small town." In addition to the new film, a documentary on the Scary Stories to Tell in the Dark books is also coming out in 2019, and we'll keep Daily Dead readers updated on both projects. 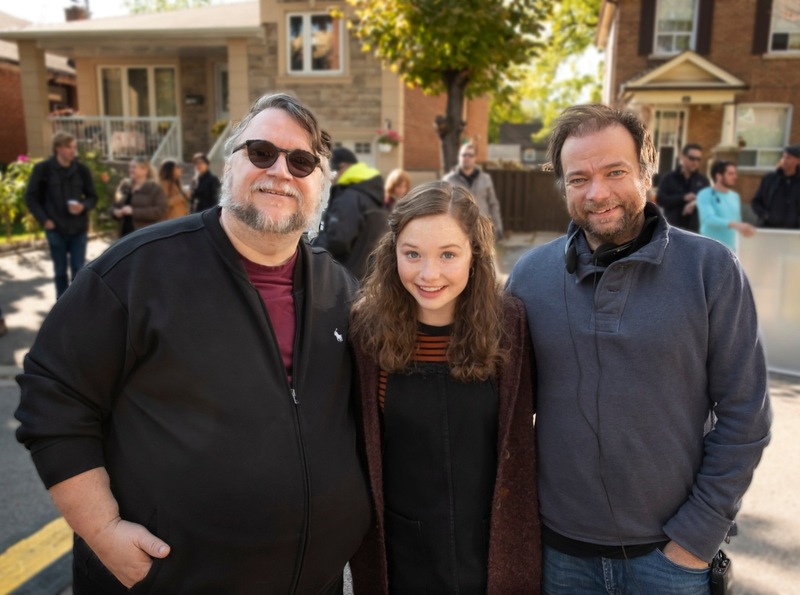 Along with the poster, you can view a new behind-the-scenes set photo of Guillermo del Toro, Zoe Coletti, and André Øvredal below.